One of the most anticipated events in the world of performing arts, the USA International Ballet Competition (USAIBC) is hosted every four years in Mississippi. Among the oldest and most prestigious international ballet competitions in the world, USAIBC attracts top dancers and dance industry professionals from around the globe in its two weeks of performances and special programs, drawing in millions of dollars in revenue for the City of Jackson. 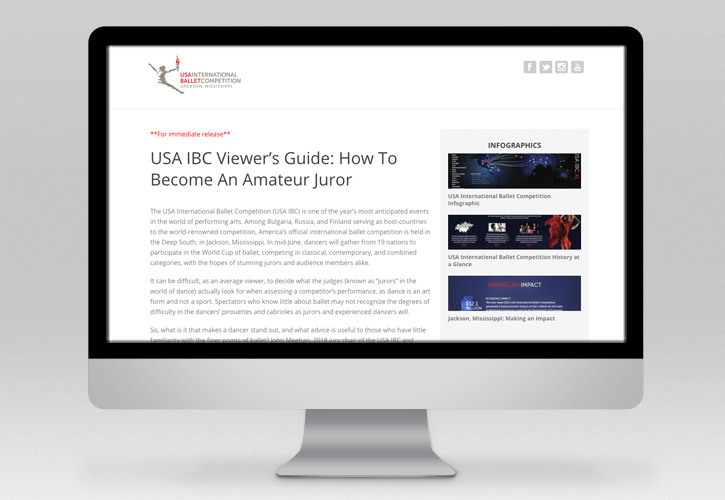 In need of heightened exposure for the 2018 competition, the USAIBC enlisted the expertise of The Cirlot Agency. The Cirlot Agency created and executed an 8-week public relations and social media campaign which included interviews, feature stories, press distribution, reporting, and analytical statistics. 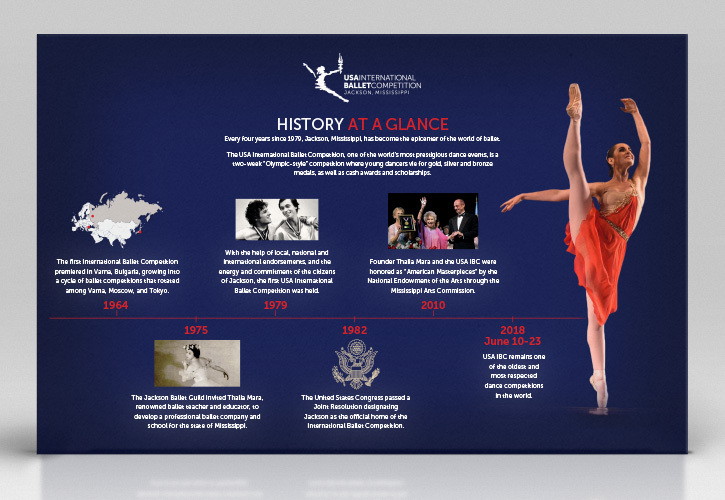 The focus of the campaign highlighted both the competition’s hyperlocal economic value through tourism and traveling dance companies, as well as the long-term significance of the event in the world of ballet. USAIBC earned media coverage on local, regional, and national levels, as well as a digital audience reach exceeding 14.9 million views across various social media channels. 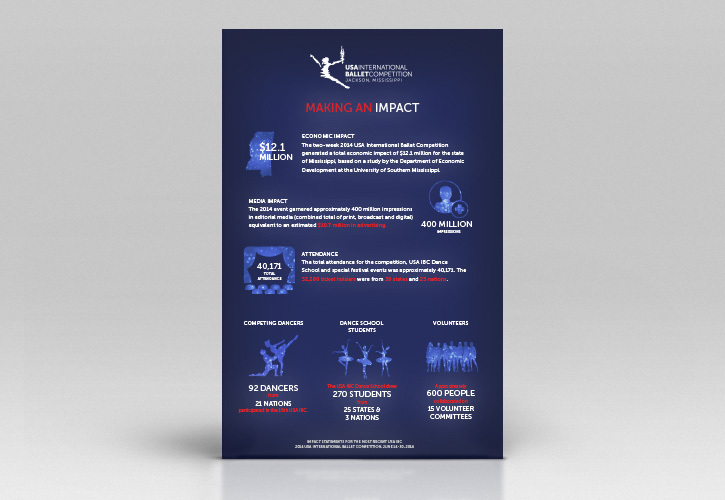 With positive data regarding USAIBC as an organization, the campaign resulted in amplified awareness and positive audience feedback on a global scale.